I believe that everyone’s purpose is to uncover their unique gifts and share them with the world... like confetti! I’m an optimist, bestselling author, speaker and 3x Australian Latin Dance champion – because life’s too short not to dance ;) I’m dedicated to making you the best possible version of yourself, using positive psychology, neuroscience and proven experience, packaged into simple, easy-to-apply strategies and hacks to help you ignite your potential and live a life you love. And when I’m not doing that, I’m goofing around with my husband. My mission is quite simple: To help women navigate an increasingly complex world so they can develop the Confidence, Clarity and Capability to follow their path and pursue their purpose. The world we know is changing. Automation, robotics and advances in technology will completely change the workplace ecosystem on a global scale. And women are in a position of unfair disadvantage. Women are twice as likely to work in jobs with a high chance of being replaced by automation and be impacted by technology. What’s more, women face gender bias in hiring practices to interview techniques. Women are in significantly fewer positions of leadership, and even less so in the STEM and Finance industries. With the Global Gender Gap Report estimating it’ll be another 217 years before we achieve gender parity (woah?! ), this is something we all need to concern ourselves with. That’s why I do what I do. I’m a strong believer that we all have a role to play. Mine is to engage, educate, empower young professional women and leaders to recognise their unique strengths, overcome their limiting beliefs and forge their path so that we can pave the way for more women to excel personally and professionally, and take positive steps towards repairing the disparity. Be inspired into action with a series of empowering, motivating and insightful presentations from one of Australia's most dynamic and engaging young speakers, perfect for conferences, team-building events or work functions. Take your next team event or function to new heights with a fully tailored interactive seminar or workshop, perfect for driving positive workplace culture and engagement, offering insights into individual and team behaviour and enhancing self-awareness and communication. As Director and Chief Positive Influencer at Influenceo Group, we offer bespoke and tailored programs for companies focussing on building positive culture, positive leadership for teams, navigating a changing environment and communication mastery. As a keynote speaker, Shadé is renowned for her ability to infuse motivation with practical strategies and solutions to shift mindsets and drive positive action in her audiences. Her high energy presentations are characterised by authenticity, humour and passion, and create maximum impact. Shadé specialises in translating brain science research into simple, actionable strategies for performance and wellbeing. 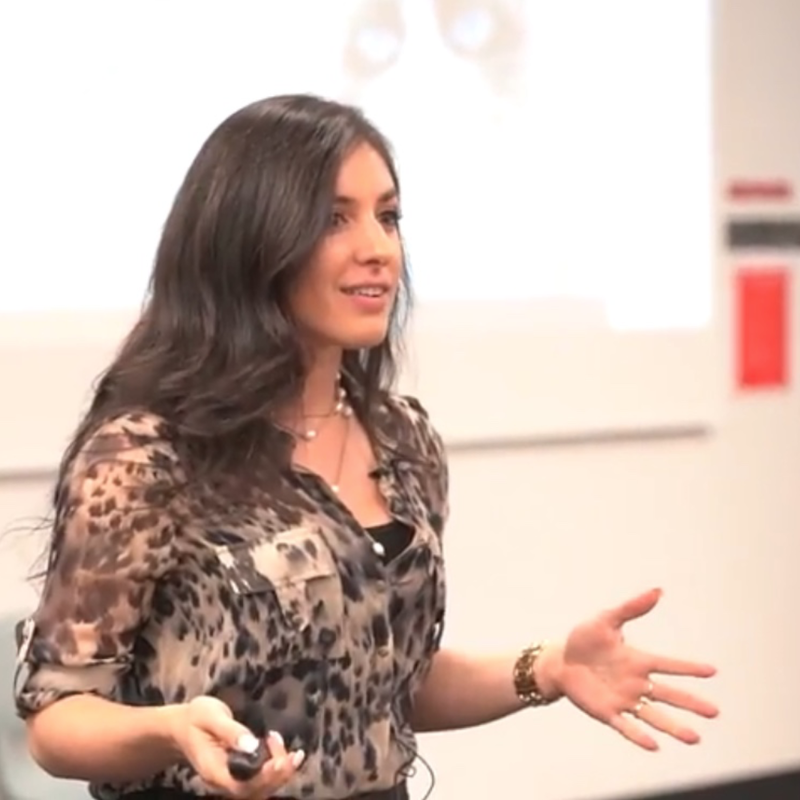 Her content is focussed on equipping participants and audiences with skills for communicating with influence, influential leadership, understanding the neuroscience behind unconscious bias (and how to combat it) and living a happier life. All of her sessions and talks are bolstered with findings from neuroscience, positive psychology and behaviour studies. Imagine a world where every female professional has the confidence, capability and drive to reach their potential. My Mission is to help more young women gain the Confidence, Capability and Clarity to ignite their potential and excel in an era of unprecedented uncertainty. All women deserve the opportunity to overcome workplace challenges and self-limiting beliefs, not just those who are continually ‘cherry-picked’ for leadership development programs. Those who don’t typically fall in the top 20% of performers are often overlooked, undervalued and are never given the opportunity to ignite that spark within them. Their potential is left undiscovered. Together we can change organisational structures and positively transform deep-rooted corporate cultures. Together we will contribute to greater economic equality for women both at work and in society. And it starts with women taking back control over their development…and owning their future. Ignite Your Potential with Neurofemina. Here’s an example of the Advanced Leaders Programme we’ve run in the past. You’ve been added to the tribe!